That being said, how much blank space is on my calendar? Not a whole lot. Maybe you think to yourself that you don’t have to pencil in certain things. Why in the world would you need to write in your schedule spending time with your spouse or kids? That stuff just happens. I am blessed to spend a lot of time with my kids. We home school and we get to eat lunch together every single day. When times do get busy, they are right there with us- running the errands and getting things done. That doesn’t mean that I am satisfied and that I don’t desire more time with them. I feel like I don’t get a lot of relax time with them. They have asked for family movie nights. That’s kind of hard when mommy works at night. We received a fun Disney themed game for Christmas. They have played it with each other. Do you know how many times I have played this game with them? NOT ONCE. Of course, I plan on making up for some of these things during our summer break. 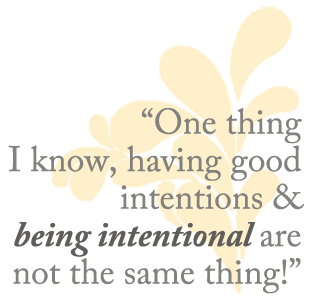 Realistically, if I am not intentional with how I choose to spend my time….life has a tendency to pass on by. I talked a couple of weeks ago to our youth group about making time for God. I used the athletes as examples. During any given week, these high school and college students can devote 10-15 hours per week to their sport. They are disciplined, because if they skip out it will affect their performance. I asked how many of them, if their coach just left it up to them to devote that much time per week on their own and didn’t have set practices scheduled, would actually put in that much time. I was told tests and projects and family time and work would probably get in the way. Life can get busy and get in the way. It is important to actually schedule what we value and what needs to get done. How does this concept apply to our time with God as well? It’s easy to get swept away in routine. I’m in church on Sunday and Wednesday. Does it really matter if I don’t necessarily spend time every day with God? It does. Just like the athletes, it can affect your performance in life. Be intentional with your time. Leave some blank space on purpose. Guard that blank space for family time. Make the choice to schedule more time with God– personal time and time to listen for His voice. This is not always easy. One girl in youth…well, we figured out her commitments and subtracted everything from the time in one week. She was left in the negative. Some of us are like that. We might have to trim things in some areas to make room for what is most important. This is where the ‘being intentional’ comes in. The time is going to pass either way. Matthew 6:21- For where your treasure is, there your heart will be also.